Researchers have demonstrated a simple way to scale up production of the supermaterial graphene. Why? Well, first and foremost there's that whole super strength thing. It briefly held the title of “strongest material ever tested,” until it was upstaged by carbyne last year. It’s also extremely light, highly conductive, and nearly transparent. Researchers at UCLA recently discovered a cheap method for producing graphene supercapacitors powerful enough to render traditional batteries obsolete. Graphene filters are small enough to block salt molecules, which means they could be used as cheap method of water desalination. Graphene antennas could theoretically transmit wireless data at speeds of up to 1 terabit per second. Those are all amazing possibilities, but just what the heck is graphene anyway? It’s actually quite simple: Graphene is a one-atom-thick layer of graphite, which is the stuff found in pencil lead. 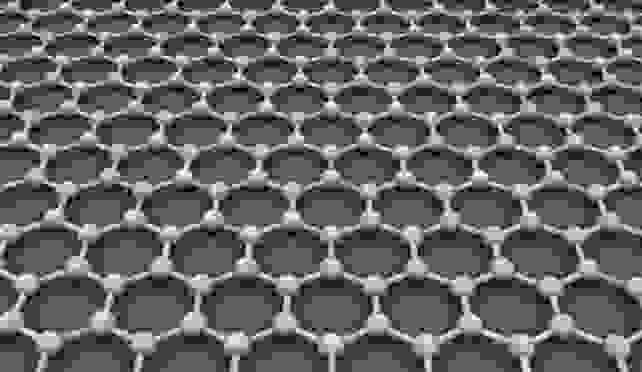 At the microscopic level, graphene is arrayed in a honeycomb lattice of carbon atoms. At this level, you can perhaps see why it is such a strong material—just think back to geometry class. The major problem with graphene is that it’s difficult to manufacture on a large scale. But researchers in Ireland and the U.K. may have found a solution. A study published this week in the journal Nature shows how graphene can be produced with objects found in the home, and cheaply and easily scaled up for mass production. All you need is some water, graphite powder, an electric blender, and a touch of detergent. All you need to make graphene is some water, graphite powder, an electric blender, and a touch of detergent. The researchers took a 400-watt kitchen blender and added a half-liter of water, 10–25 milliliters of detergent, and 20–50 grams of graphite powder. They then turned the machine on for 10–30 minutes. This produced a large number of micrometre-sized graphene flakes suspended in water. But let’s be smart: This was a demonstration. The researchers were unambiguously clear that you absolutely should not pour water, detergent, and pencil lead into a blender and hit the power button. It will not work, and your blender will be destroyed. The scientists used these household tools merely to illustrate the scalability of graphene production. The actual production process was done in a lab, and required highly precise measurements and an industrial-grade blender. That said, the research paves a clearer path to a future where graphene is produced widely and inexpensively.